Submitted for the approval of the Midnight Society, we call this story… The Tale Of The Kids’ Show Writers Who Named Their Tween Protagonist “Gary.” Yes, somehow, the lead storytelling tween on ‘90s Nickelodeon show Are You Afraid Of The Dark? was named “Gary.” This was not the name of a 52-year-old bald man menacing the tweens; no, no. It was the head tween. Spooked yet? If so—or if not—Gary himself has a treat for you. Ross Hull, the former child actor and present-day Toronto meteorologist who played Gary, is now embracing his past after many years out of the spotlight. Just in time for Halloween, Hull has uploaded an Are You Afraid Of The Dark? 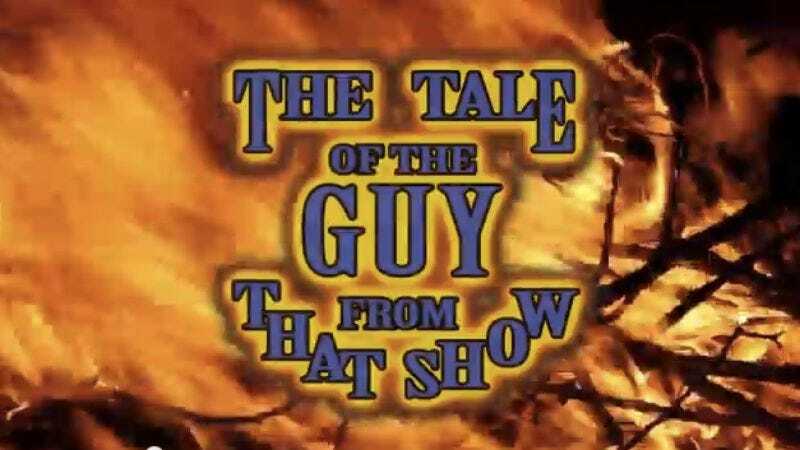 parody on YouTube called, fittingly enough, The Tale Of The Guy From That Show. The video closely follows the trappings of the original show, complete with campfire framing, telltale Canadian accents, Toronto street signs, and at least two twist endings. Hull, who told The Daily Dot that he’d be interested in revisiting the idea behind the video in future installments, previously released a documentary short chronicling a 2013 trip to New York City to meet Are You Afraid Of The Dark? super fans at a 92nd Y event.